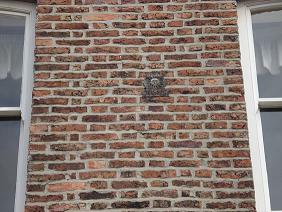 Many Stokesley residents are unaware of the historical artefacts which exist in the town. One of these is on the wall above Cooplands bakers in the High Street. In 1666 the Great Fire of London occurred. One result of this was that attention was given to Fire Insurance and Fire Brigades. 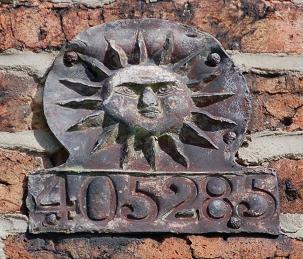 One of the early entrants into the business of Fire Insurance was The Sun Fire Office (a precursor of the Royal Sun Alliance Group), which commenced business in 1710. Initially Fire Brigades were organised by insurance companies, and a scheme was adopted whereby customers would receive a Fire Mark or Fire Insurance Plaque to attach prominently to their building as proof of insurance. It was customary for Fire Brigades to check for the presence of such a plaque before tackling a fire. The plaque on the wall of the Cooplands building is a fine example. Thanks to Charles Stuart for the closeup image. The 6 digit number on the plaque is the Policy number. A Wikipedia article on these plaques is here. This article includes an example of the same type as the Stokesley one. A very similar plaque is in the Museum of London here. I think Charles's photograph is better!